It’s officially THAT time of year. It’s dark by 5:30pm, the leaves have fallen from the trees, and temperatures are plummeting. The only thing that sounds remotely relaxing is cuddling up on the couch, binge watching Netflix, and eating junk food. Just me? Of course not. There’s NO way I’m alone in this! Although this time of year is a favorite for most, it can also be difficult to stay active. It's difficult but can be done. 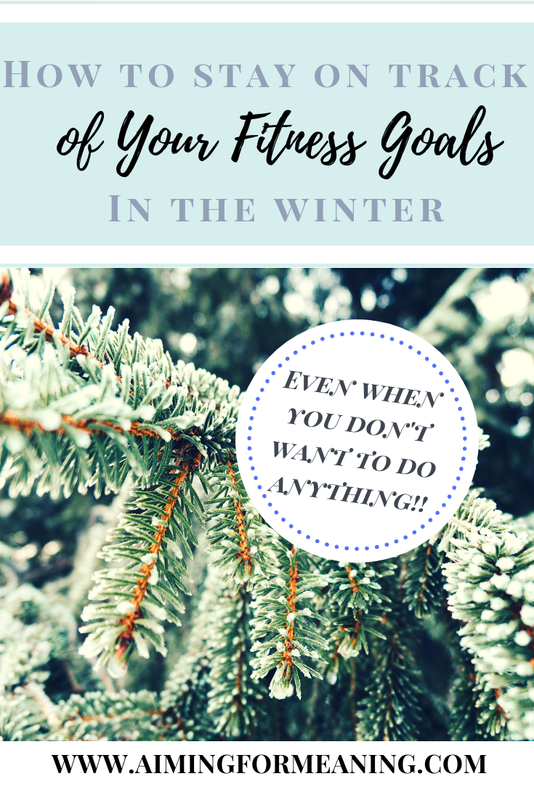 I’m going to share with you some ways you can manage those winter blues and stay focused on your exercise routine and fitness goals. Don’t put it off! Work out in the morning as soon as you wake up, during your lunch break, or in the evening after work. Whichever you prefer. The second you start pushing it off, the more likely it will be that you do not work out. Take it from me. If I get home after work and sit down, even for a minute, I probably will not workout but if I get home, change, and get right into the gym, the hardest part is done. The beginning of the week is the perfect time to plan what days and times you are going to workout. Most often you’ll have a general idea if there are any other plans you need to work around. For example, I often like to start my week by working out Monday but if I have a dinner I have to attend then I will push it to another day. It’s all about finding the perfect balance between flexibility and rigidity…which brings me to my next point. During this time of year it is important to remember that spending time with family, friends, and loved ones is priority and there are often lots of events and gatherings to attend. Exercising and remaining active is important but if there are occasions where you have to miss, then you have to miss. You can try to make up for it later in the week or just be a workout short. That is okay. Like I mentioned above, it is an art to be able to balance a rigid routine with flexibility when needed. If you’re having difficulty getting to the gym it may be helpful to workout at home. This removes one more hurdle you’d have to overcome when getting to the gym on a cold day. You can work out at home with absolutely no equipment, little equipment such as dumbbells or kettlebells, or a full fledge home gym. Whatever your situation may be, there are tons of workout ideas you can find online to get your body moving. If you’re interested in high intensity workouts such as crossfit, there are several body movement workouts you can do at home. Winter is a wonderful time of year filled with family, friends, holidays, cold weather, short days, and all things cozy. Although things are busy, it is still possible to stay active and on top of your health and fitness goals no matter what they are. Exercise doesn’t have to be a chore, make things easier on yourself and implement these tips into your routine. I hope you all are as excited about this time of year as I am!